Kimber model Micro 9 semi-auto pistol chambered in 9MM. 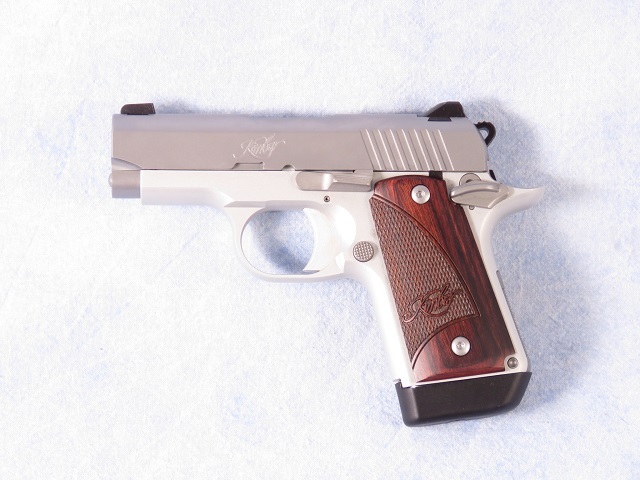 Features a 3" barrel machined from stainless steel with a flush fitting 6 round magazine. The aluminum frame is manufactured in the 1911 style with external thumb safety. Comes with rosewood grips. Standard Micro 9 features include a lowered and flared ejection port, a beveled magazine well and steel sights that are mounted in machined dovetails for additional integrity.